New electro duo Metabards are releasing their first self-titled EP, with serious style. At this specially curated launch party at Idio Gallery, renowned mythologist Monty Taylor will make a memorable appearance and Loud Sol will present a special performance of Impressions of Summer Blue, a show to be featured in the Fringe. Body-painting and tarot readers will also be on hand, making the night a special one. 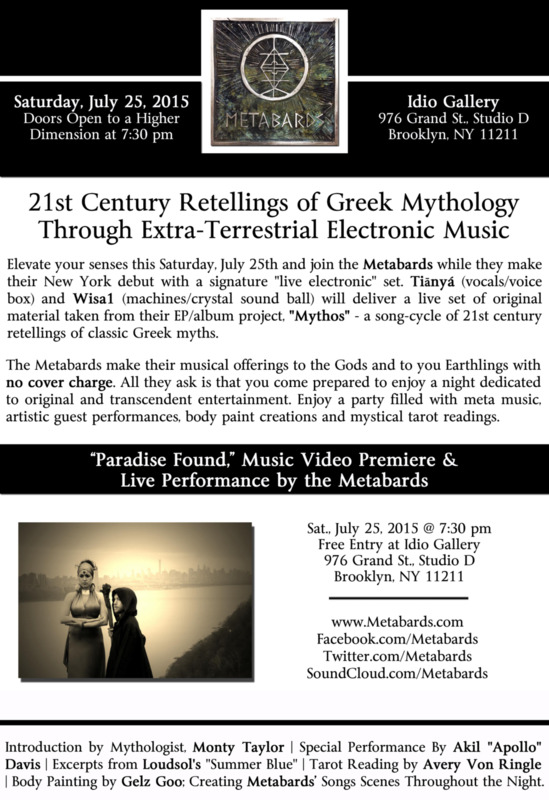 The Metabards are an electronic music duo testing the boundaries of new music. Coming from a Cabaret and Jazz background, singer Tiānyá is accompanied by Wisa1 who uses a light-ball to control the ambient sounds.